Not enough is known about identical twins and what makes them so unique. Research in 2005 found that identical twins differ in how their genes express themselves. 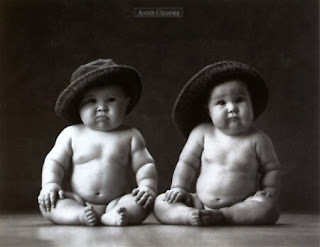 Now scientists have learned that all identical twins may actually differ genetically from their partners to some degree. When researchers analyzed 19 pairs of identical twins they found that even though they did possess nearly identical genomes, they often differed in the number of copies of individual gene segments. For instance, one twin might be missing a segment, or possess more copies of that segment than the other twin. These variations could explain why one identical twin can suffer from a disorder while the other remains healthy. Jennifer Lopez and Marc Anthony Welcome Twins! !